Place ham in oven-safe baking dish. 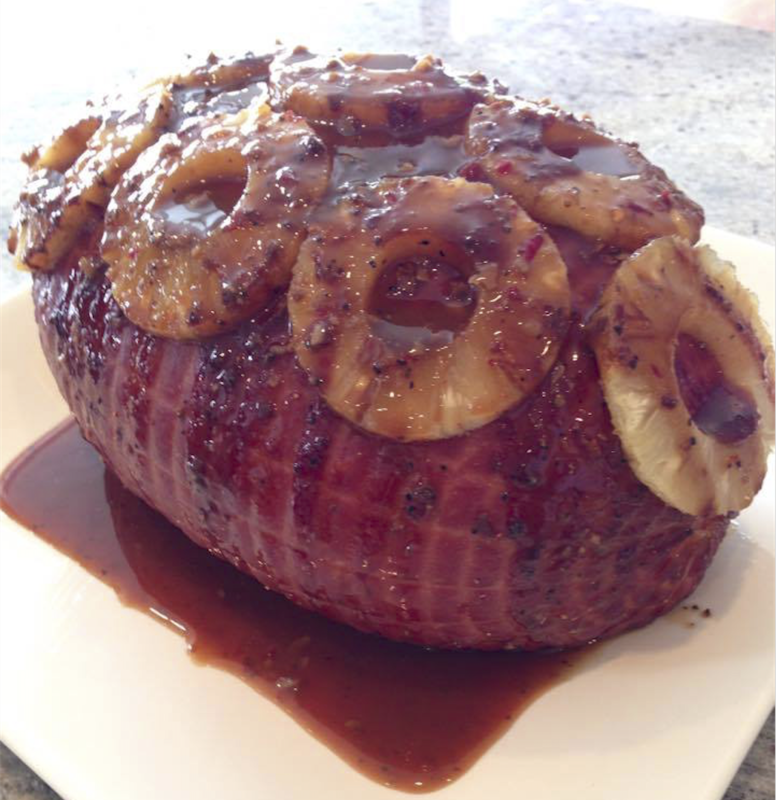 Set pineapple slices all over the ham, sticking in place with toothpicks if needed. Mix 1/2 a bottle of Pulo Cuisine marinade with 1/2 cup water and pour over ham to cover. Cover ham with tin foil, and place in oven. Cook for approximately 10 minutes per pound of ham. Remove halfway through allotted cooking time to test the ham and baste with more marinade. Return to oven without the foil covering it, to brown until cooking time is done. Allow to cool slightly, slice and serve.